1.1 the "Buyer" means the Account Applicant or person who buys or agrees to buy Goods from the Seller. 1.2 The "Seller" means sixonetwo Limited. 1.3 "Conditions" means the Conditions of Sale set out in this document and any special conditions agreed in writing by the Seller. 3.3 All Prices are subject to VAT, including charges for packing, postage and Carriage. 3.4 In the case of consumer sales, payment must be made in full before dispatch of any Goods. 4.1 Interest on overdue invoices shall accrue from the date when payment becomes due from day to day until the date of payment at 2% above National Westminster Bank PLC base lending rate for the time being in force per calendar month. 5.2 While every effort is made to ensure that the product specifications are accurate, manufacturers do change specifications in their products as the product is developed. Inevitably there will be a delay before the product descriptions are updated reflecting these changes. It is highly recommended that an evaluation of the chosen product(s) is carried out to ensure that it meets your functional requirements prior to purchase. 5.3 Our standard structural warranty on wheels is 12 months. 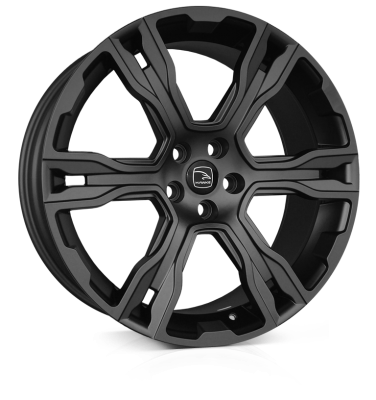 We can only provide 6 months warranty on Polished or Diamond Cut wheel finishes. Warranty is void in cases where wheels have suffered damage from stone-chips, kerbing, neglect or other 3rd party causes. 6.1 Whilst every reasonable effort shall be made to keep any delivery date, time of delivery shall not be of the essence and the Seller shall not be liable for any losses, costs, damages or expenses incurred by the Buyer or any other person or Company arising directly or indirectly out of any failure to meet any estimated delivery date. 6.2 Delivery of the Goods shall be made to the Buyer’s address and the Buyer shall make all arrangements necessary to take delivery of the Goods whenever they are tendered for delivery. 7.3 The Buyer shall inspect the Goods immediately upon receipt and shall notify the Seller within a reasonable time of delivery if the Goods are damaged or do not comply with any of the Contract. If the Buyer fails to do this he is deemed to have accepted the Goods. a) a Goods Return reference obtained from the Seller must be clearly shown on the returned parcels. c) the Seller reserves the right to make a handling and restocking charge of 25% on Goods which are returned if they were ordered in error or are no longer required. d) Any damages or defects must be notified to the seller within 24 hours of delivery to enable us to take appropriate action and tyres must not have been fitted to wheels. Wheels may not be returned once tyres have been fitted. 12.1 If you have a complaint about our service or any goods or services you purchase from sixonetwo Ltd then please contact us immediately. You will be contacted as soon as possible and aim to provide a resolution within 5 working days. Important notice: The Buyer is responsible to check the suitability for a particular vehicle of any product prior to its application & use, seeking professional assistance where necessary. Don't take risks with your own safety and that of others. sixonetwo ltd is not responsible for consequential losses arising from goods sent incorrectly.